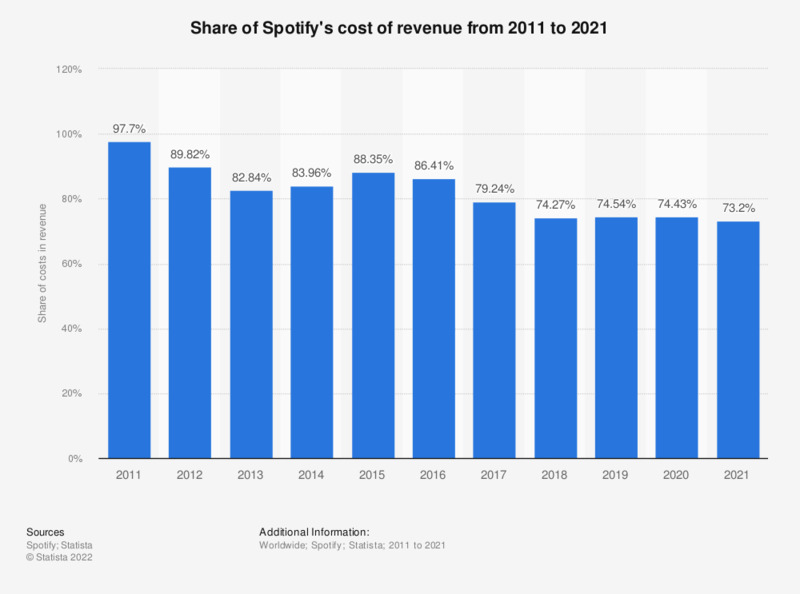 This statistic gives information on percentage of Spotify's cost of revenue from 2011 to 2018. In the most recently reported year, 74.27 percent of the music streaming platform's revenues went mainly towards royalty payments towards music rightsholders and other fees. 2012 to 2018 data recalculated by Statista on basis of restated Spotify figures, 2011 data published via The Guardian in November 2014. Cost of revenue does not solely refer to royalty fees paid out to artists. Everything On "Spotify" in One Document: Edited and Divided into Handy Chapters. Including Detailed References.